People become doctors for many different reasons, and to some degree this is reflected in the way each physician practices medicine. For my part I have always been very clear about wanting to combine the best of medical science with a genuine sensitivity for the needs, issues, and concerns of each woman I work with. My goal at Elite Obstetrics & Gynecology therefore, is to treat patients with the same degree of respect, concern and understanding that I would like to receive. I am committed to providing exceptional medical services for women at every stage of their lives, without compromising on the personal touch that I feel is so important to quality health care. Being a patient is never fun but for optimum health every woman should feel comfortable about seeing her gynecologist regularly. Moreover, when you’re pregnant it is wonderfully reassuring to know that your obstetrician really cares about you and your baby. For me, attention to details makes all the difference, from creating a warm office environment to just spending a little extra time listening to the women who have trusted me with their bodies. As far as I’m concerned that’s the kind of VIP treatment all of my patients deserve, and at Elite Obstetrics & Gynecology that’s the standard of personalized, top-quality care my patients can always look forward to. 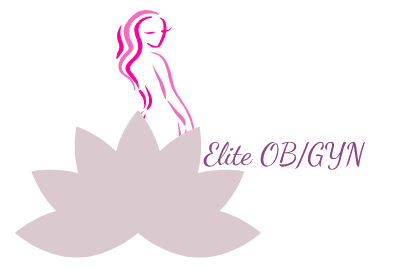 At Elite Obstetrics & Gynecology in Fort Lauderdale, we are committed to providing the best obstetrics, gynecology, robotic surgery, minimally invasive procedures & cosmetic gynecology for women of every age. From the comforts of our warm, spa-like office, to the sensitive, personalized care provided by our highly-trained staff, we welcome each patient to experience the highest standards of care and service. Drs. Kushlak and Mehta believe in the importance of a client-centered medical experience and hope to create a strong and long-lasting bond with each of our patients. It is our privilege to serve the community of South Florida by providing quality medical attention through sound medical advice, and responsible diagnoses and procedures.